Plastic Cards are a great way to put your business in the lead! For an automotive company, get 3.5x2" opaque white business cards for automobile shop. They offer thousands of practical and promotional applications. Our clear plastic business cards can also give a whole new look to your company, it's modern and one of a kind. Printing Xpert is privileged to offer Plastic Business Cards at a super affordable price. Our white plastic cards are very durable and printed on 20pt Plastic Opaque White stocks. 20 pt. thick, ultra thick light weight and flexible. This stock is coated with 50% white which gives the card some transparency while increasing saturation of printed colors (compared to clear) Can only be printed on one side due to its transparency. They go great with 3.5x2" white opaque business cards for veterinary office. Printed results will not look as saturated as screen view/ proof/ preview. These cards are waterproof, tear proof and very resilient. They are great for adding up a different class to your company. 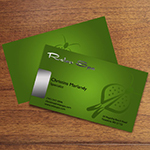 Order our 3.5x2" opaque business cards for salon and spa and create a unique style of marketing strategy for your clients and prospective customers. 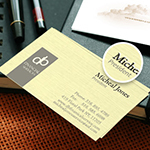 There are two basic varieties of plastic business cards - transparent and solid. We hold pride in being the best opaque business cards manufacturers and our most popular 3.5x2" opaque business cards for catering service leaves a great impression on your customers. With our raised business card printing you can give your business card a whole new look and feel. 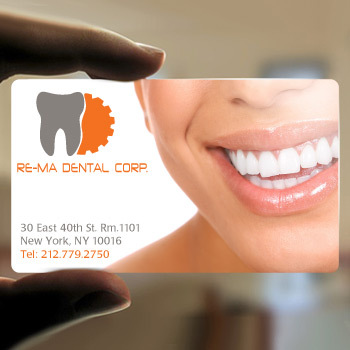 Having opaque plastic business cards are themselves a marketing tool for your business enhancement. 20pt. plastic thickness is more durable and long lasting that gives an extra strength to the business card. Companies that can use flash to sell their products or services often find plastic business cards to be a great advantage. Advertising firms, financial law firms, photographers, spas, and companies involved in technology are all kinds of businesses that can benefit. Even a service that might be well served by the transparent card, such as custodial service, could consider a solid white card with simple black lettering and a full color photograph of the smiling owner. Plastic business cards are remarkably affordable and can make a significant difference in the promotion of a product or service. They are also likely to stay in circulation longer and will be readable and as good as new in appearance no matter how long they are kept or how often they are handled. 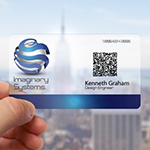 The durability of plastic business cards enhances the versatitility of you card. Because of this, a business owner can use a business card for dual purposes. For example, the card may also serve as a customer loyalty card or long term discount card. In this way, a customer will be more likely to keep the card in his or her wallet or purse. And because the plastic card is more durable, it will hold up to long term use. My cards are just unbelieveable! The quality of the cards just Rockssss !! I am in love with my cards....WooooWW....amazing..!! Will you continue to add products to your site? We offer a complete line of full-color personalized business products, including business cards, letterhead, post cards, flyers, menus, banners, vinyl banners, stickers, and much more, all sorted by industry sector. We will continue to update the content and refine the process wherever and however we can. 20pt plastic thickness is one of the most durable and long lasting paper that gives an extra strength to the business card. The 1/4 or 1/8 subtle rounded edges on these cards gives an elegant look. Product: Business card, 3.5" X 2""